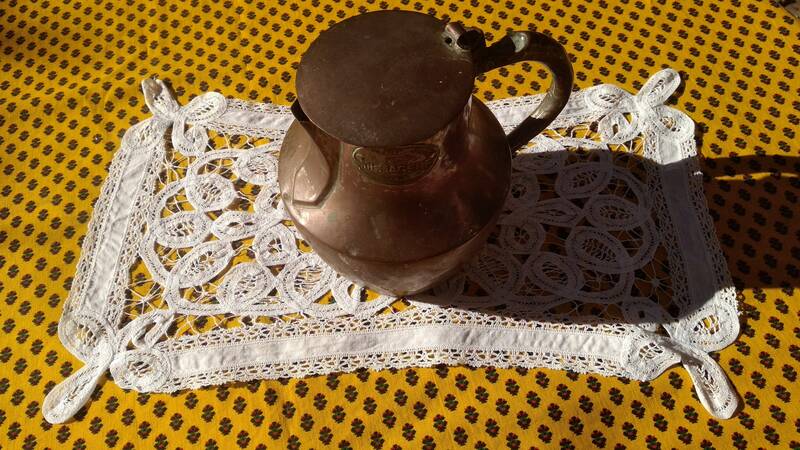 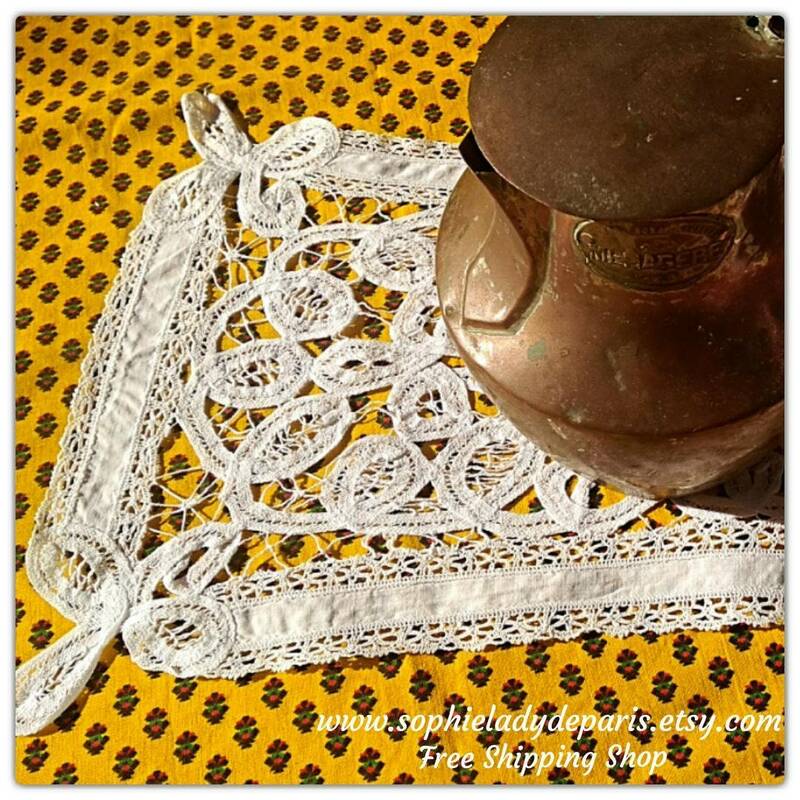 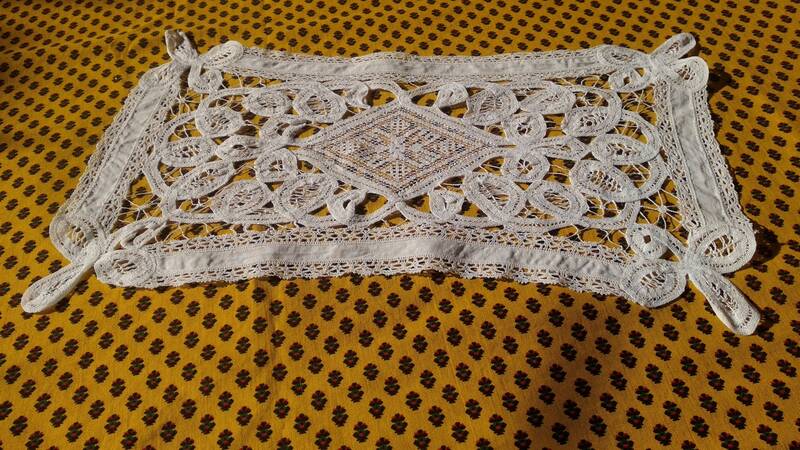 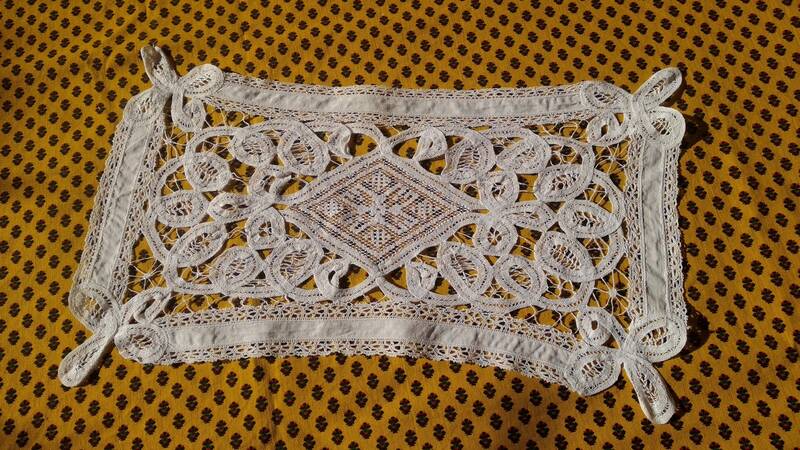 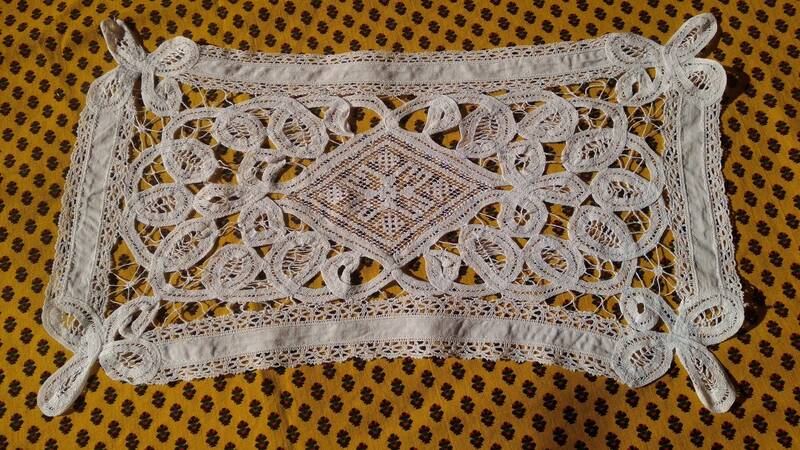 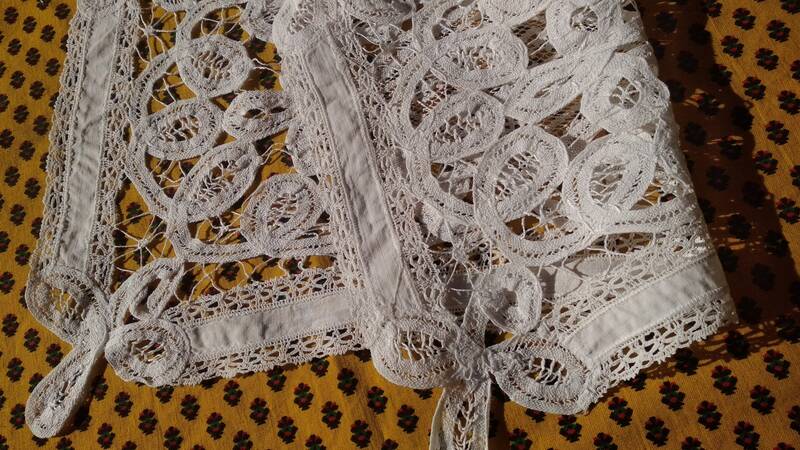 Gorgeous Handmade French Lace Doily or Table Center - Cotton made. 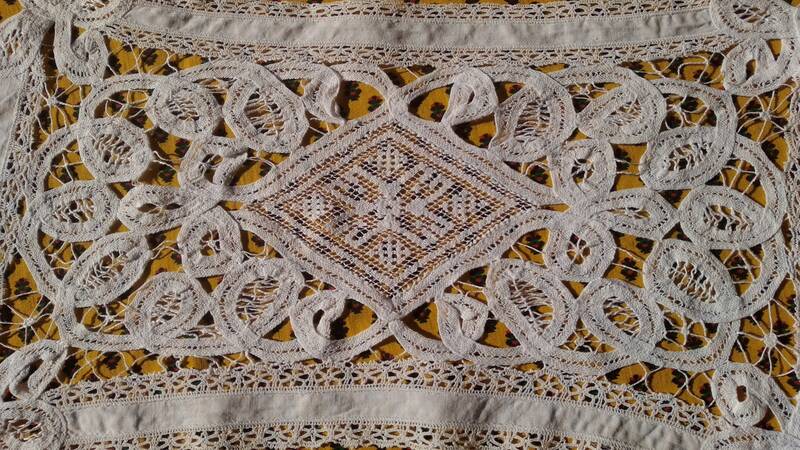 Venetian Art lace with needle lace inlay . 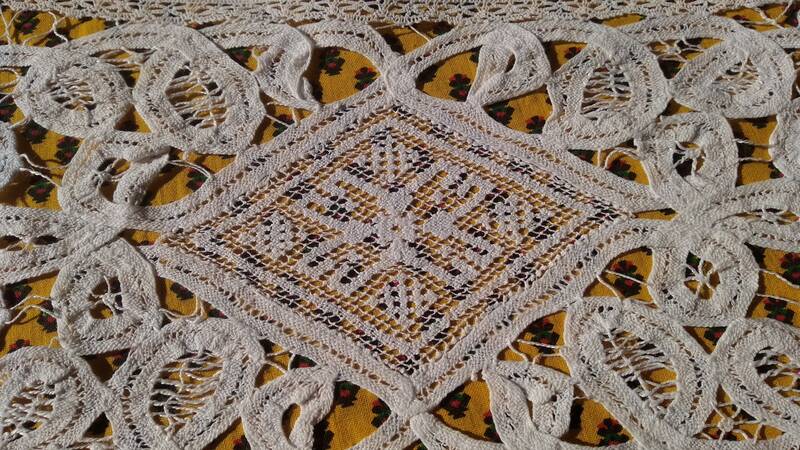 Lovely to decorate a table or a piece of furniture!